Somewhat of an outsider in the local electronic scene, Famous Relatives are back with a unique mix of ’80s-inspired synth, thumping bass and dance-inducing lyrics. Famous Relatives have come quite a way, ditching the heavily LCD Soundsystem–like sound in Electric Signals for something more retro and poppy. This album is a new wave dream, whirling with kickass synth solos and infectious, electronic drums that set beats that are hard not to dance to. The album kicks off with “Control,” a track that immediately grabbed my attention with an opening crash of glass followed by a growing, bumping synth line and groaning vocals reminiscent of goth vocalists of the ’80s and ’90s. 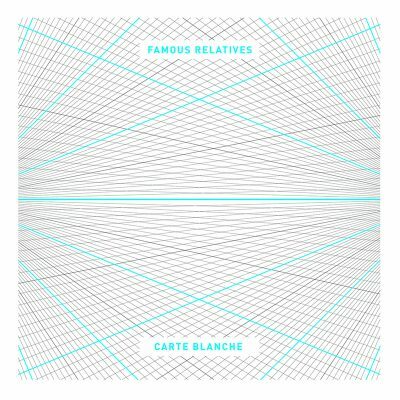 Carte Blanche focuses heavily on a more pop tone throughout, making itself stand out from the darker, experimental electronic music or EDM coming out of the Salt Lake City scene. The track “Untitled Russian Disco” is another standout, brought to life with electronic drums in the outrun-style track, perfect for any Drive enthusiast.